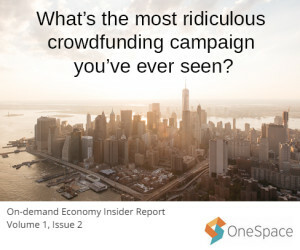 In this week’s edition of the OneSpace On-demand Economy Insider Report, we take a quick look at how businesses can harness the power of crowdsourcing and have a little fun with poorly conceived GoFundMe crowdfunding campaigns. We can think of at least a dozen, but Varsity Tutors CEO and founder, Chuck Cohn, only had so much space to work with in his Jan. 11 post for Entrepreneur.com, so he had to limit his thoughts to ideas, content and labor. Crowdfunding sites have done a ton of good for many people in need, letting donors from around the world work together by making small monetary contributions for a common cause. On the other hand, these sites have also been outrageously exploited, and those stories are a lot more fun. A Virginia woman tried to parlay her popularity with gentleman suitors on social media by directly requesting they financially support her and her four children. She scored $60 of her $5,000(!) 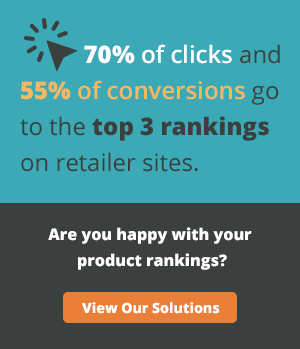 goal – that would be a 1.2 percent success rate – before the page vanished. A group of New England Patriots fans requested a mere $75,000 to help prove that “DeflateGate” – a football deflation scandal involving their beloved NFL team – had no basis in science. They only got $720, but Tom Brady’s suspension was overturned and the Pats are back in the AFC Championship game, so let’s just pretend all the credit belongs to these folks. You’ll be heartbroken to learn that the tyrants who run GoFundMe won’t let you follow your heart (and toss out your brain) by donating to this Tennessee woman’s campaign. As posted Jan. 14 by Shenequa Golding on Vibe (later republished on Yahoo), the crowdfunding site quashed Nicole’s request for donations after she supposedly spent all her money on Powerball tickets. “We spent all of our money on lottery tickets (expecting to win the 1.5 billion) and are now in dire need of cash,” Nicole claimed in her campaign summary. The craziest part? For some reason, people actually pledged over $600 in donations before GoFundMe pulled the plug. The only greater waste of money we can imagine is, well, spending all your money on Powerball tickets.